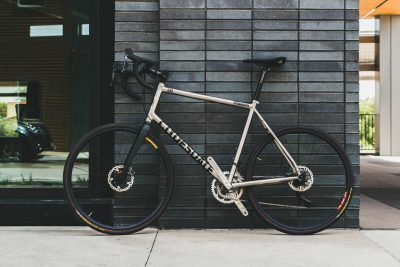 Handmade titanium bikes for big guys! 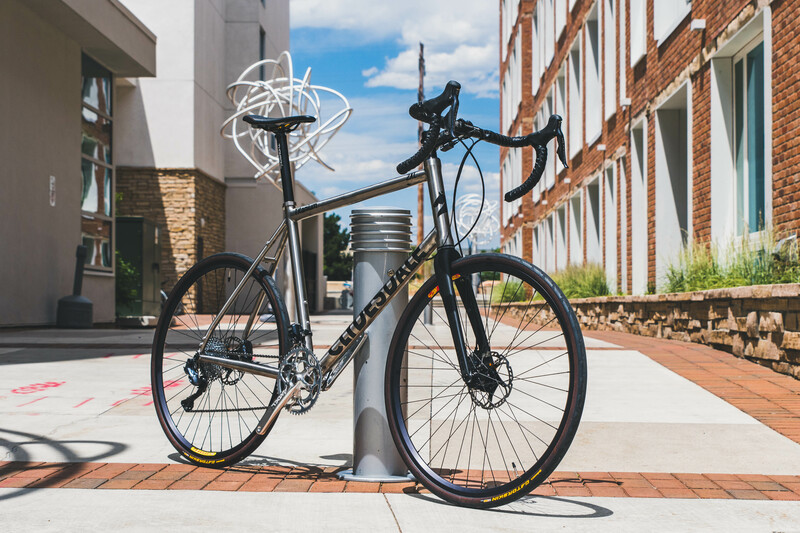 Clydesdale Bicycles is dedicated to building great bikes that hold up to the largest riders out there. It doesn’t matter if you are big, tall, or both, we are here to build you a bike that rides great and lasts a lifetime. 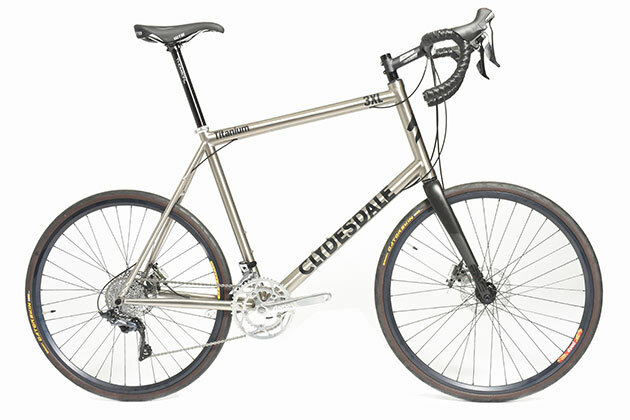 Clydesdale Bicycles is committed to getting big and tall guys on bikes. Let’s face it, big guys break stuff, from wheels, to chains, to gears, and frames. Other brands don’t want to take on that risk, but we have risen to the challenge of building bikes for big and tall riders that last. 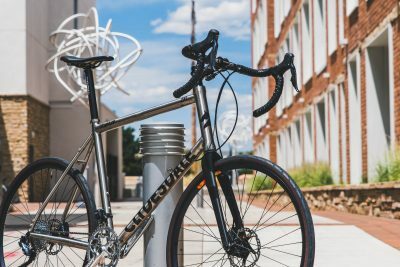 All Clydesdale bike frames are designed by the renowned big and tall bike designer, Lennard Zinn, and are built extra tough out of the highest quality titanium. 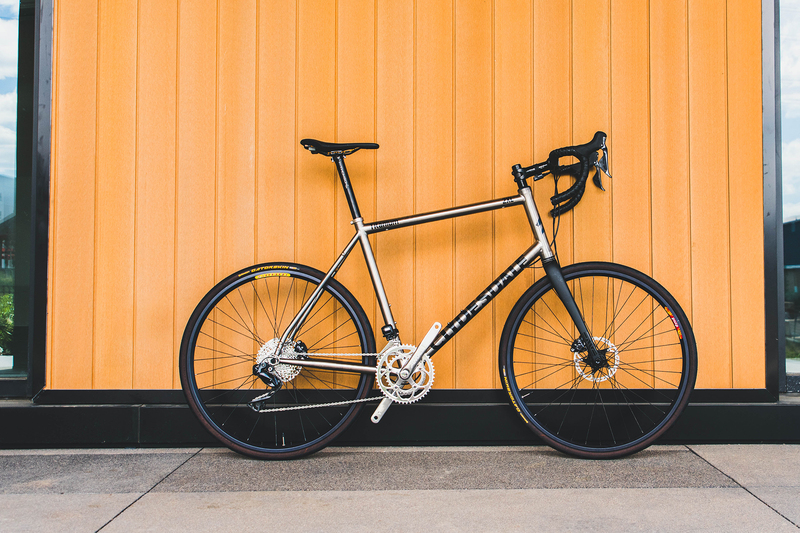 We have thought through every detail of these bikes from the frame and fork to the wheels and drivetrain, and have come out with versatile bikes that ride great with incredible durability. We will be adding models to the line up every year until we have covered ever corner of the big and tall bike market. We look forward to working with you and building you a great bike that will last! The Draft is our all around gravel road bike with disc brakes, Shimano 105 components, Enve Carbon fork and handbuilt bombproof wheels. 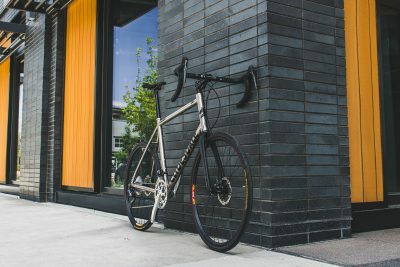 This bike is made for long road and gravel rides, commuting to work, touring across the country, and even racing road or cyclocross. 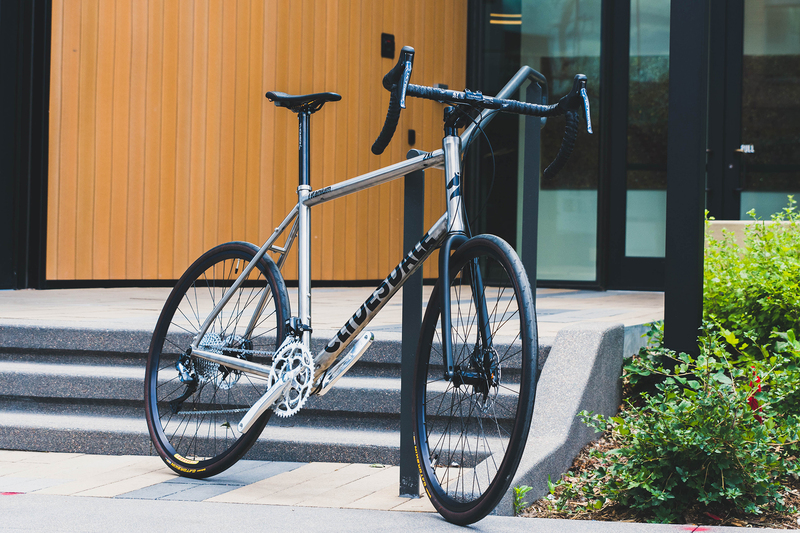 The titanium frame is built super tough for big guys and comes in a 2XL, 3XL, and 4XL for riders from 6’3″ to 7’3″. The Team is our performance powerhouse. 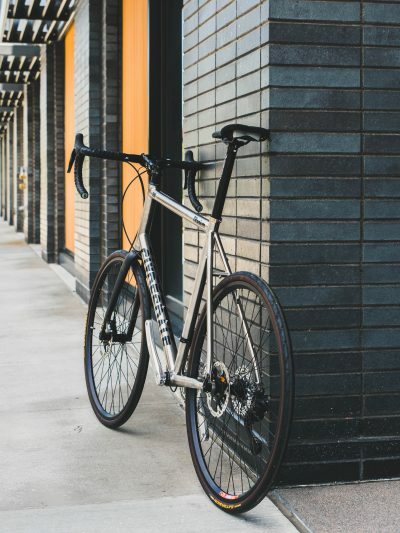 An all around gravel road bike with electronic shifting, hydraulic disc brakes, Shimano Ultegra Di2 components, Enve Carbon fork and handbuilt bombproof wheels. This Clydesdale bike is made for gravel racing, commuting to work, touring across the country, fitness riding, and even racing road or cyclocross. 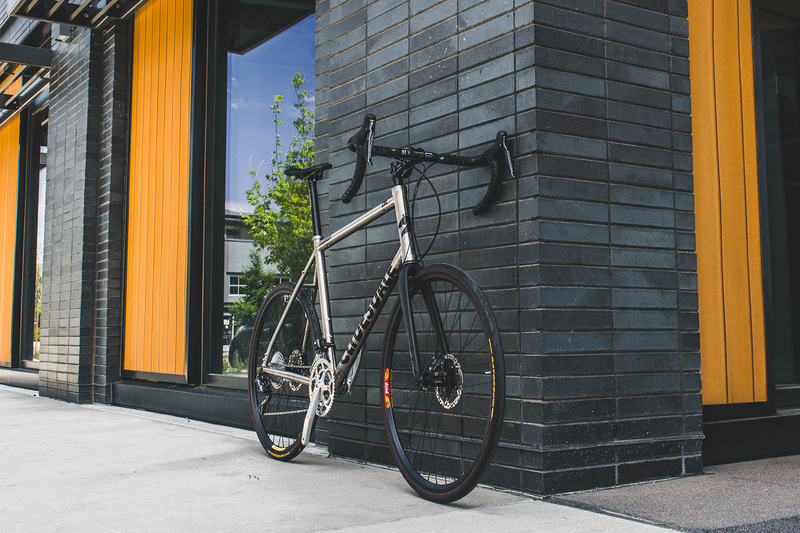 Electronic shifting is an amazing feature to make this bike the ultimate big and tall bicycle. 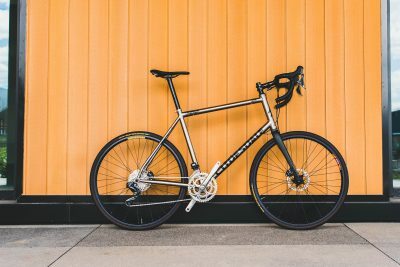 Lennard Zinn has been designing and building great bikes of all types for big and tall cyclists since 1982 at Zinn Cycles. He is one of the few bike designers in the world that has dedicated his career to improving the performance and durability of big and tall bikes. 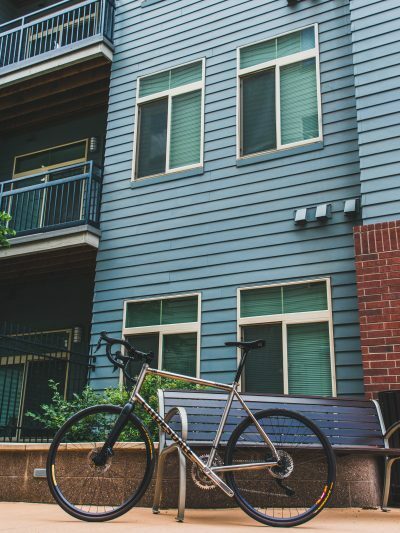 There are many more factors to building a big and tall bike than most people understand. It is not as simple as just scaling up a “normal” sized frame and calling it good. When you do that, several things happen to the bike. First, the stretched out tubes become less stiff, which results in high speed frame shimmy. This is a scary by-product of a poorly designed bike. Second, the added material makes the bike heavier, especially if the builder tries to solve problem number one with just using bigger heavier tubes. 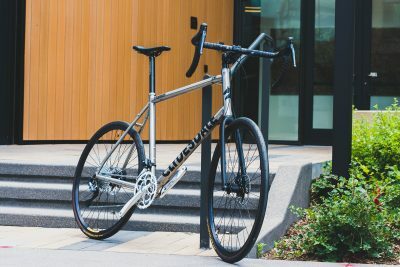 Third, without a fork with a long enough steering tube, the handlebars will be far too low for the tall cyclist causing discomfort in the back, neck, wrists, and arms. Fourth, building a bike for a tall rider with average length cranks will make the rider feel like he’s pedaling a kids bike while sitting up very high. Lennard has developed great frame design concepts to address and solve all of these issues and more. A bike designed by Lennard Zinn will be stiff and strong, while remaining lightweight. It will never shimmy at high speeds, and all of the components will be proportional to the rider. 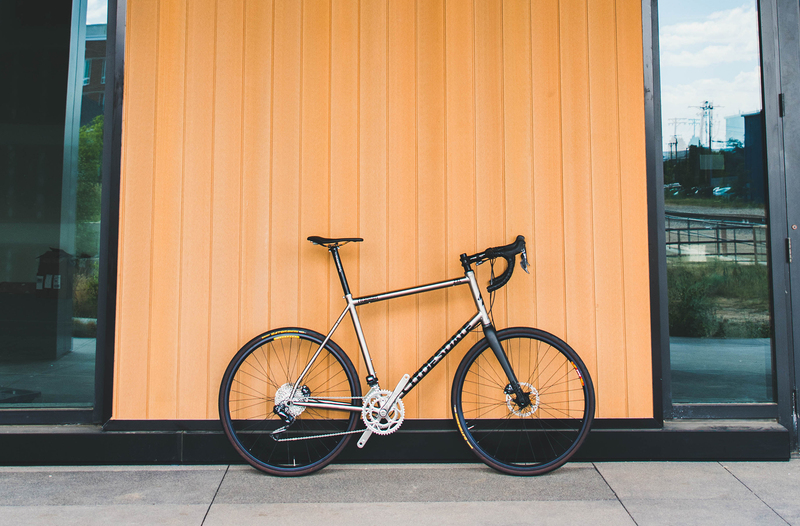 Fit, performance, comfort, and durability will all be superior on a Lennard Zinn designed bike than a big and tall bike from any other designer out there. We guarantee it. 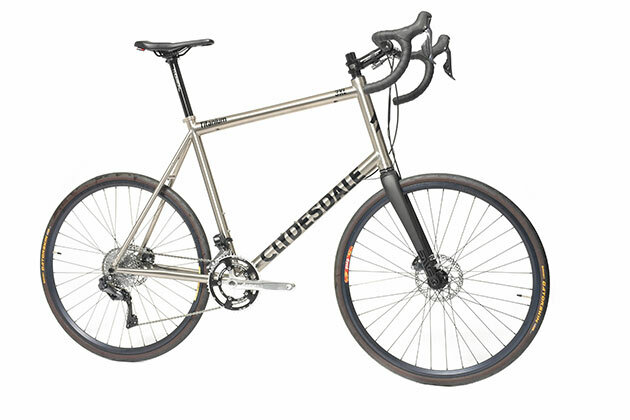 To start the order process, fill out this form and we will contact you to discuss your dream Clydesdale Bike bike. If the bike you are looking for is not currently available, we can get your spot in the queue reserved with a deposit. Join the big and tall bike revolution! 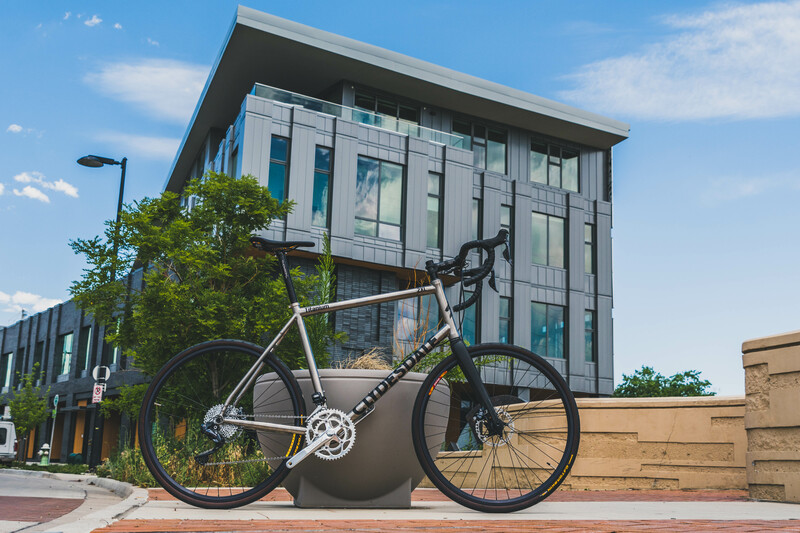 Titanium is half the weight of steel, so we can build Clydesdale Bike frames with larger diameter tubing with a frame still lighter than steel. 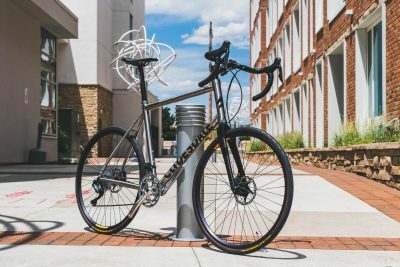 Larger diameter tubing provides greater strength and stiffness for greater power transfer, yet still with amazing compliance for a comfortable ride that doesn’t beat up your body over a long trek. Titanium has enough strength and fatigue resistance to avoid the need for extremely oversized tubes, providing a compliant ride on rough surfaces that smooths out and absorbs road buzz and small bumps. 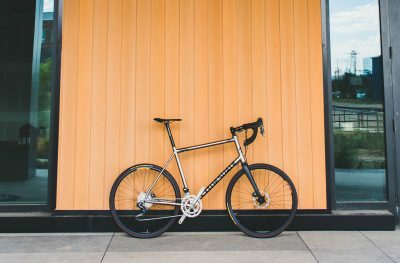 Steel frames, with their smaller tubes, can be almost as compliant, but aren’t quite as comfortable.